Nintendo took the wraps off of Super Mario Odyssey at E3 this year, showing off mind blowing and fantastic new gameplay of the game that cements its status as a Game of the Year contender. If it is everything that it looks to be from this gameplay footage, then Super Mario Odyssey will end up being better than even The Legend of Zelda: Breath of the Wild. Don’t believe me? Think I am being hyperbolic? Tell you what, check out the gameplay footage for the game for yourself below, then, and tell me what you think. 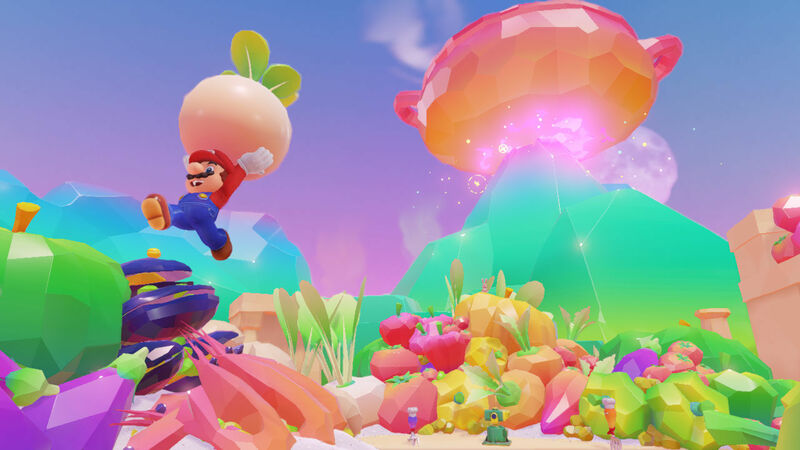 I am sure you will agree- this looks to be the most exciting Mario game we have had in 20 years, and I really, really hope it lives up to this footage. Super Mario Odyssey will launch on October 27 this year, exclusively for the Nintendo Switch. Stay tuned to GamingBolt for more coverage and information.